Time is Running Out: Enter La Crema’s Sensory Contest Today! La Crema Winery launched its Virtual Vintner program earlier this summer, letting consumers become a part of the winemaking experience. With interactive features like food and wine pairings, educational videos, and quizzes from winemaker Elizabeth Grant-Douglas, the Virtual Vintner Program offers everything needed to help guide participants through all stages of the process. Until October 10, 2014 you can participate in the current phase of the Virtual Vintner experience, the Sensory Contest, where participants can select photos that best represent their idea of the Russian River Pinot Noir flavor profile. 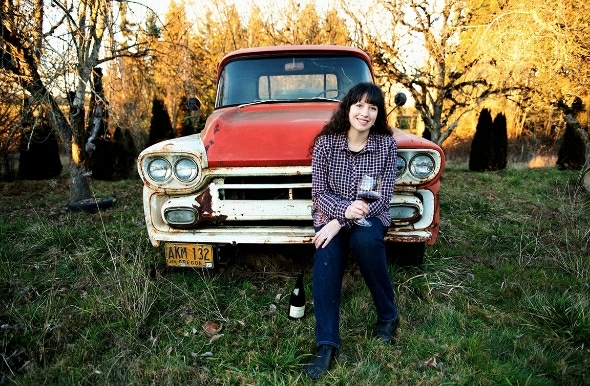 You’ll also discover how well your prediction of the wine flavor matches the winemaker Elizabeth Grant Douglas’ notes. Be a part of this unique winemaking experience and help La Crema create their first crowd-created wine, from vine to bottle, by heading over to vv.lacrema.com today. One Chicago bar is really getting behind Halloween this year. 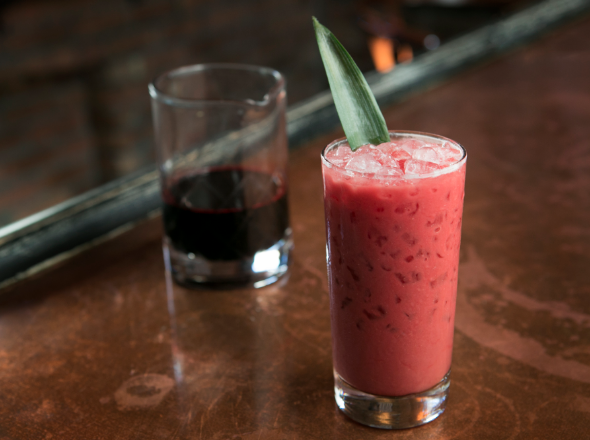 We introduce to you, the Werewolves of London cocktail that utilizes pig’s blood as a cocktail component. Pig’s blood isn’t some newfangled hipster liqueur, bitters, or tincture. We’re talking about blood. Like, erythrocytes … from a pig. Appearance on the menu each night is dependent on pig’s blood sourcing availability and will be available through Fall. The 2014 Great American Beer Festival has officially come to a close. 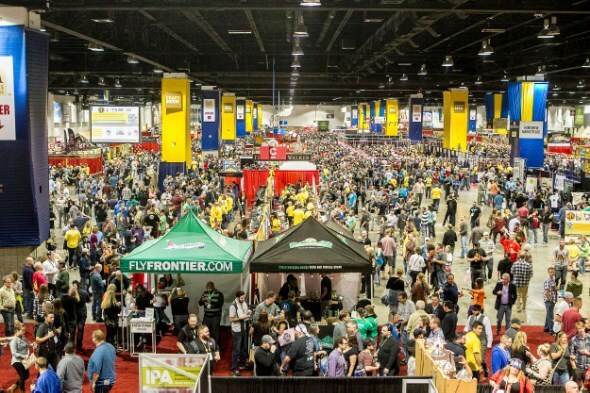 The event, which drew 49,000 beer lovers to Denver, Colorado, is the largest commercial beer competition in the world. The event, which is presented by the Brewers Association, awarded 268 medals to some of this country’s best breweries, as well as three medals to Pro-Am entries. This year’s event saw its biggest judging panel, consisting of 222 beer experts from 10 countries evaluating 5,507 commercial entries, plus 89 Pro-Am entries, for a total of 90 beer categories and 145 beer styles. Entries increased by 16% over 2013 and entries were seen from 1,309 breweries nationwide. Below are the 2014 Brewery and Brewer of the Year awards. As a veteran, I love when I see beverage brands working to support members of our military, their families, and veterans and not too long ago I read about Stemmari, a Sicilian wine brand, that was doing exactly that. “Sicily?” I thought to myself. 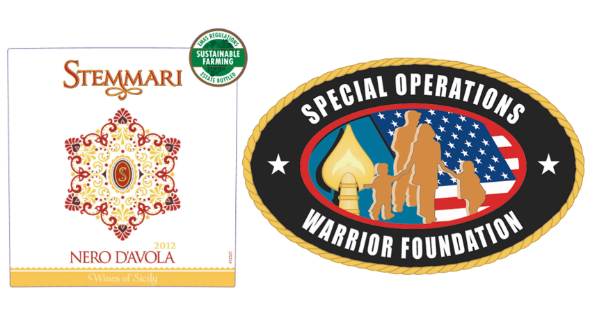 I didn’t immediately draw the connection of why a Sicilian wine brand would be supporting an American non-profit catering to the military like the Special Operations Warrior Foundation, but then it began to make sense. I served as a paratrooper in the 82nd Airborne Division, a unit which was instrumental throughout World War II. They also served an important role during Operation Husky, which involved two battalions from the 82nd’s 504th Parachute Infantry Regiment jumping into the darkness of the night on July 9, 1943 and landing into Sicily to go toe to toe with the Axis forces of the Italians and Nazis. They, along with other forces that composed the Allied invasion, would fight for six weeks of land combat that would see 6,000 casualties as they worked to drive enemy forces out of Sicily. Led by General Patton, these forces would set up camp in locations throughout Sicily, including areas that would go on to become vineyards for Stemmari. Matured exclusively in American Oak Bourbon casks for a minimum of 26 years, Glenfiddich Excellence 26 Year Old is the first single malt from the Speyside distiller to use Bourbon casks throughout the entire maturation process to become a permanent addition to this premium line. 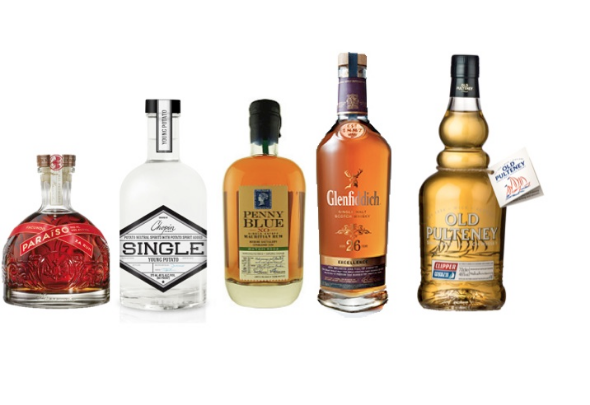 Glenfiddich Excellence 26 Year Old will be available nationally at fine wine and spirits retailers starting fall 2014 for a suggested retail price of $499.99 / 750ml (43% ABV). This limited edition, once-distilled spirit is made entirely from Zuzanna and Hinga potatoes harvested at the peak of their starch content. While many vodka are distilled multiple times, this is distilled just once in order to retain its unique flavor and character. Other expressions in the SINGLE line include Young Potato, Rye, and Wheat. La Crema Winery kicked off its “choose your own adventure”-style winemaking jounery, Virtual Vintner, on August 11. Wine aficionados spoke up, participating in the online experience and chose to make a Pinot Noir from the Russian River Valley. If you haven’t signed up yet, there’s still time to influence La Crema’s new, crowd-sourced wine through choosing the vineyard, fermentation style, barrel type and time as well as name and label design. La Crema’s Virtual Vintner also includes videos and winemaking education from La Crema winemaker Elizabeth Grant-Douglas. Head to vv.lacrema.com today to participate in the next phase of the Virtual Vintner experience: choosing which vineyard will be used in La Crema’s first crowd-created wine. A lot of things are aged in bourbon barrels. For instance, things like tequila, scotch whisky, and Tabasco Sauce are aged in bourbon barrels and have been for years. Other things, like vanilla extract, sugar, coffee beans, and maple syrup, have been aged in bourbon barrels as of more recently and all have been delicious. But this newest collaboration has caught are eye … raw denim? Yup. Cincinnati, Ohio’s Noble Denim has paired up with Bulleit Bourbon to collaborate by barrel aging Noble Denim’s raw denim jeans in used Bulleit bourbon barrels. What will the outcome be? What do they expect to happen? Well, nobody really knows but it will be interesting nonetheless. The project will start later this month when Noble inserts 50 pair of their iconic Earnest or Truman raw denim jeans, hand stitched in Tennessee, into recently emptied Bulleit Bourbon barrels. Wine Enthusiast announced today their 2014 40 Under 40 list, which highlights America’s tastemakers and leaders in beverage culture. One on the list is Mutineer Magazine’s founder Alan Kropf, who is now the Director of Education at Anchor Distilling Company. This list appears to be very well thought out and includes many very passionate and game changing beverage personalities. A jack of all trades, Alan Kropf is certified through the Court of Master Sommeliers, the Wine & Spirits Education Trust, Cicerone Program and National Bartenders School. He is also founder of Mutineer Magazine, and, last year, he joined Anchor Distilling Company. After moving from Melbourne, Australia, to the U.S. in 2008, Little was dismayed at the dearth of wine selections from his homeland. He founded Little Peacock to not only import and distribute Australian wine in the U.S., but also to provide wine that Aussies actually drink, helping to ­reshape American perceptions of wine from Down Under. Born and raised in France and a veteran of the restaurant business, Mestre seems to have been destined for his current role. Virginia-based Mestre founded Williams Corner Wine, a wine importer and wholesaler, at the age of 23. Since then, he has been integral in introducing little-known, well-made natural French wines to the U.S.
At only 29 years old, Kiefhaber, wine director at legendary New York City steakhouse Smith & Wollensky, is bringing a fresh approach to one of Manhattan’s most storied wine cellars. Kiefhaber, a Yale graduate, worked previously in a variety of restaurant roles—bartender, server, manager and writer—before taking on his current challenge. One of the men featured in the documentary SOMM, Proctor works as brand ambassador for Penfolds wines, helping to spread the gospel of high-quality Australian wine. He’s also actively involved in training and mentoring new generations of aspiring sommeliers. 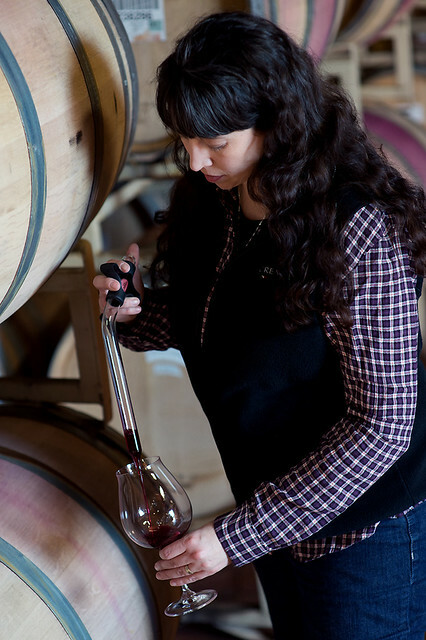 In 2001, Krause began work as a vineyard technician at Stimson Lane in Woodinville, Washington, where she also started making some of her own “homemade” wine. After working at Chateau Ste. Michelle, she moved back to Boise and started her own winery consultant business, Krause Consulting, LLC, which is bringing much-needed expertise to this emerging wine region. Together with husband, Joe Schnerr, she now owns Cinder Wines, named after the layers of volcanic remnants found under the vineyards in Idaho. While attending Yale, Gill spent her time studying Latin, which she says, “is about putting pieces of the puzzle together, and the same thing is true of getting beer on the shelf.” Gill’s Los Angeles-based Golden Road Brewing—which produced 15,000 barrels last year—is one of the fastest-growing breweries in the U.S. Ever the go-getter, Gill expects to double that output in 2014, and expand distribution beyond Southern California.